Pneumatic & Mechanical Indexers are used widely in the manufacture of card holders, sheet protectors, CD page holders, menu holders, and other products where material can be pulled directly off the roll. When used in combination with Material Relaxer & Roll Stands, Over/Under Progressive Plates, Material Guides and RF sealing machines, the Indexer is part of an automated inline system. Mechanical Indexers are designed specifically for processes employing pre-printed material from a roll or requiring index accuracy within 0.002". 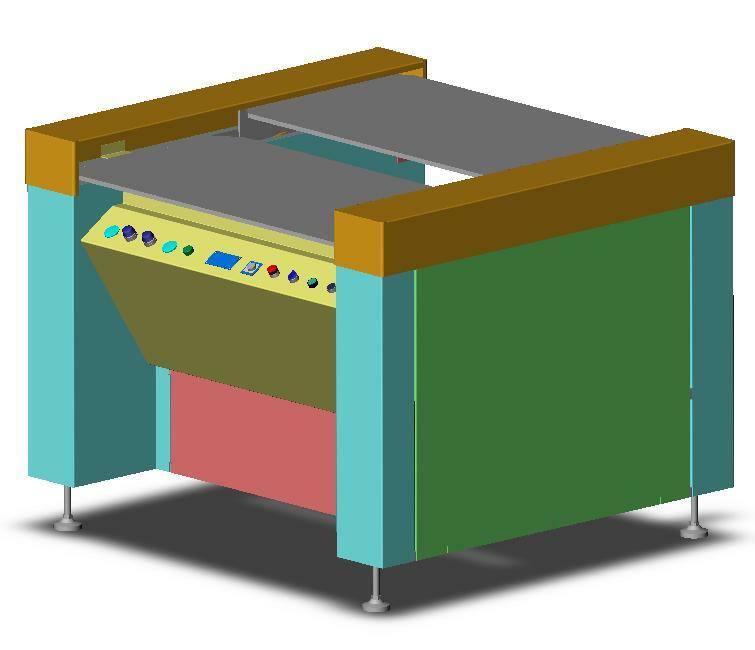 An Optical Sensor is used to adjust for varying index lengths common with pre-printed material. Pneumatic Indexer uses a 2-1/2" bore cylinder to provide an index length accurate & repeatable within 0.03"
Mechanical Indexer uses a stepper motor to provide an index length accurate & reapeatable within 0.002"
Available with widths up to 36" & stroke lengths up to 54"
Pneumatic Indexer available with PLC control for system integration with Hot Stamp Presses, Silk Screeners, etc. Manual Shuttles are dependent upon the operator. Shuttles are used extensively for large, hard to handle products and for short runs requiring multi-part assemblies. 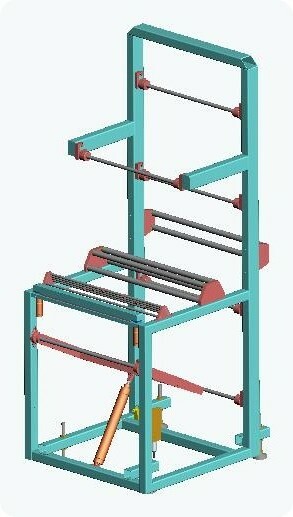 Shuttles allow materials to be accurately placed in holding fixtures prior to insertion in a press. Heavy Duty Shuttles are commonly used in applications requiring large nesting or tooling fixtures placed on the carriage. 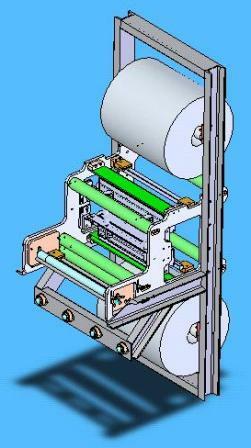 The Heavy Duty Shuttles operate by cylinders on the carriage lowering the carriage onto the press bedplate. Standard press bedplate sizes up to 60" x 144"
The Over/Under "Speed Feed" is a dual carriage, single operator shuttle integrated with the press cycle to provide the highest productivity rate of any of the in-line shuttles. The carriages travel over/under each other into the press thereby providing a low floor profile. The shuttle action is performed by a pneumatic powered mechanism. Used extensively in the production of carpeting, looseleaf binders and multi-layer products. Front-to-Back Shuttles are an inexpensive solution to accurately locating materials for short-run productions. The Front-to-Back Shuttle operates by cylinders mounted to the shuttle rails that lower the carriage onto the press bedplate. For applications with limited operating area, the Front-to-Back Shuttle can optionally be provided with telescoping slides instead of rails. The Front-to-Back Shuttle with Material Roll Holder Stand & Web Cleaner is an efficient method for pulling film directly from a roll into the RF press. In medical applications were film materials need to be cleaned and/or ionized prior to the RF welding process, having the roll stand mounted directly to the shuttle eliminates the costs associated with material handling and preparation. The roll holder can hold two rolls of film up to 17" diameter. The two webs of film are aligned twice while traveling through the stand and when used in conjuction with a web cleaner, the operator need only pull the film onto the RF sealing area. The constant tension design of the unit keeps the film from free-wheeling and back pulls. The low cost, light weight design and compact shape make the material roll holder stand a great addition to your front-to-back shuttle system. 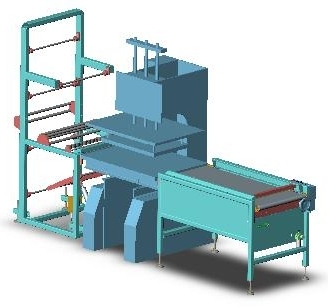 The Material Relaxer & Roll Holder Stand provides a reliable method for pulling material from rolls, aligning the material with a downstream press and ridgidly clamping the material while the press is down. 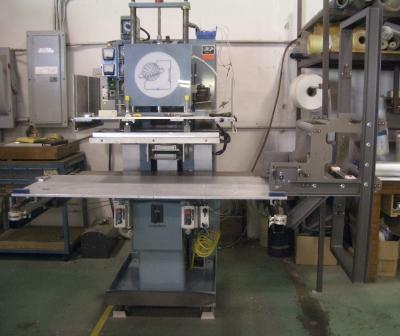 Used mostly in conjunction with our Pnuematic & Mechanical Indexers. Relaxed Lengths up to 72"
Motorized Unwinds & Rewinds are typically provided with dancing roll constant tensioners and expanding air shafts. The Unwinds & Rewinds are specificly designed per the customers application specifications. A programmable controller integrates the system components. 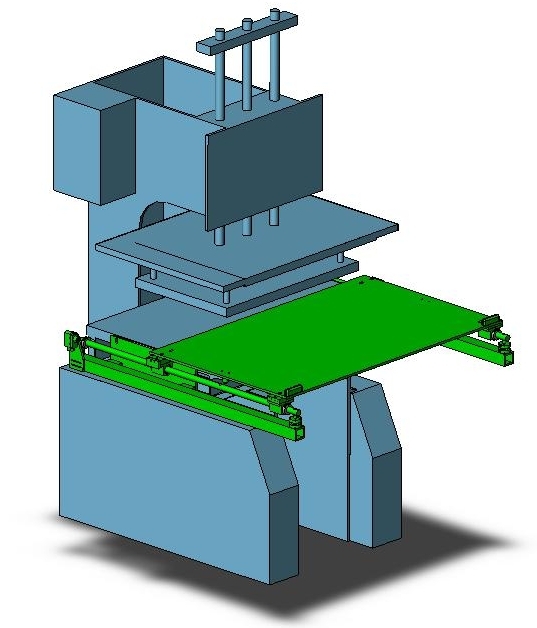 Material Guides provide alignment of material on the inlet and outlet of the press. Guides can be made adjustable for rapid setup or fixed width for greater accuracy. Our standard material guides are capable of handling four film layers and aligning widths up to 24 inches. 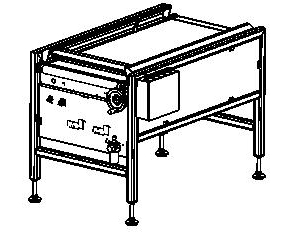 Made-to-order guide assemblies are easily provided. Used solely for Inline multi-stage sealed products such as multi-pocketed sheets and zipper pouches.